Sort of a post and run here today - I am on a getaway with the family this week, and in addition to limited time online, the dang WiFi here is s-l-o-w and that just makes me insane. Come on, this is 2012! Ok, back to the photo. 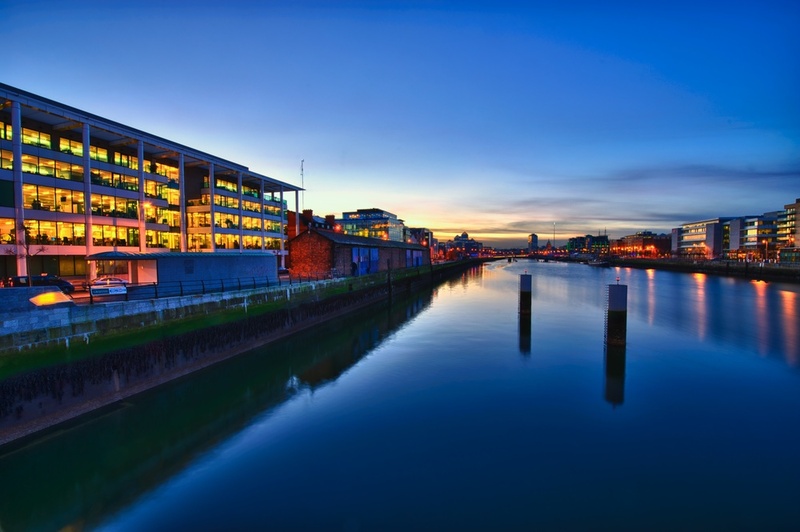 This is looking up the River Liffey in Dublin, during what was a great day for me photographically speaking and as you can see the last light left a nice glow on the town.